When Mark joined Anthony at Danihers almost 16 years ago, he brought with him a wealth of experience growing and developing businesses. Mark’s entrepreneurial flair across a variety of industries took him to regional Victoria where he owned and managed a range of businesses, including the Vue Grande in Queenscliff, and a major tourism and conference centre in Ballarat. Mark has a real passion for service and the word NO does not exist in his vocabulary. Mark’s ability to see what is needed and to take action, plus his commitment to the communities in these locations saw Mark work on many boards and community organisations. He played a significant role in the formation of the Ballarat Sports Foundation, which supports sports people to compete on the world stage. 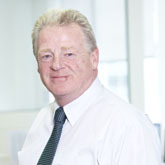 Mark has responsibility for the financial function at Danihers. An avid golfer, Mark has visited many of the major golf tournaments throughout Europe and the USA. As part of a large Irish family he enjoys visiting friends and family in many locations around Australia and the world.